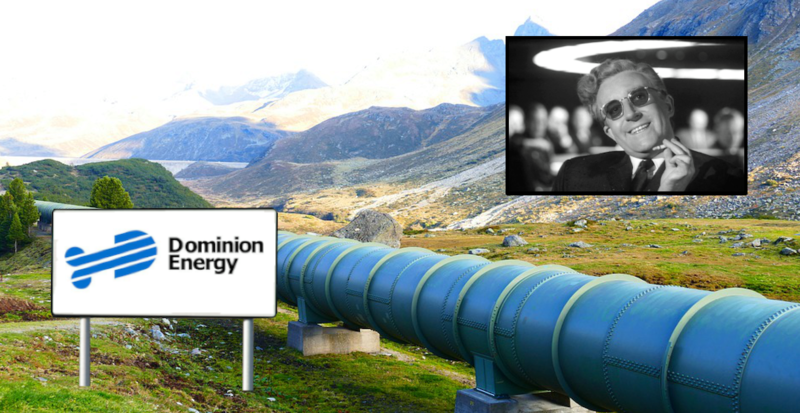 RICHMOND, Va. — Justifying the world-ending device as a simple precaution and nothing more, Dominion Energy has stated that the nuclear doomsday machine built into the Atlantic Coast Pipeline will only be used in an extreme case, sources confirmed Monday. Help support satire by joining our Patreon. According to Dominion, the 600-mile pipeline that will span the eastern seaboard is being constructed with a nuclear self-destruct feature that, if triggered, will explode with the power of fifty hydrogen bombs, producing a lethal cloud of radioactivity that will encircle the earth for 93 years. Dr. Peter Strangelove, Dominion’s chief scientific advisor, spoke about the doomsday machine in a recent statement issued by the company, where he called the weapon a mere guarantor of our safety that will only be used if absolutely necessary. However, Strangelove said that the device, which will end all animal, plant, and bacteria life on Earth if triggered, will be designed as a last resort to deter any threatening actions, and that the public should not worry about its capabilities. “And really, it’ll be the fault of the person who tampered with the pipe if it happens, since we were honest and upfront about it,” he added. Despite its ability to contaminate the planet’s entire atmosphere with toxic radiation, the machine cannot be shut down if triggered. Dominion Energy called it a necessary evil, saying that the machine must appear threatening at all costs. Strangelove ended the statement by revealing that, in case of an accidental catastrophic nuclear armageddon, Dominion is planning to raze several miles of the Great Smoky Mountains National Park to make room for bomb shelters that will be able to sustain life into the next century. Did you know we have some awesome merch available to buy?